We saw little wildlife or even farm stock during our four days on the hills. 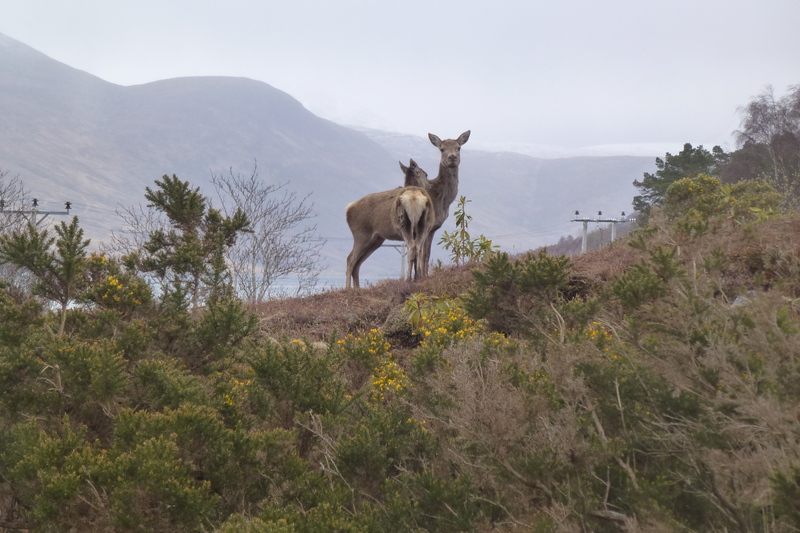 There were a few red deer and some oystercatchers and when we got down to croft land there were plenty Cheviot ewes, many of them leading their lambs astray onto roads. 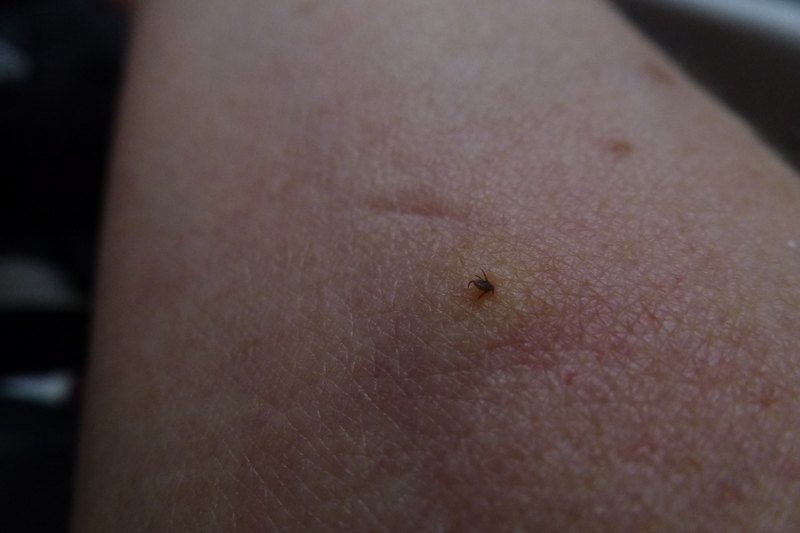 It was too early for midges but there were ticks, and one took a firm hold of my forearm. I’ve encountered them plenty of times in the past and always used to soak a tissue in whisky and twirl the tick round until it dropped out – drunk! – but that method has been discredited these days in favour of a tool which cost £5 but didn’t work for me. It’s unnerving having an insect’s jaw fixed in your flesh, but it’s finally out now. The day began with us retracing our steps of the night before, past Kylesku and over the modern curved bridge to Kylestrome, via the monument to the submariners and “human torpedoes” who trained in these deep waters during the Second World War. 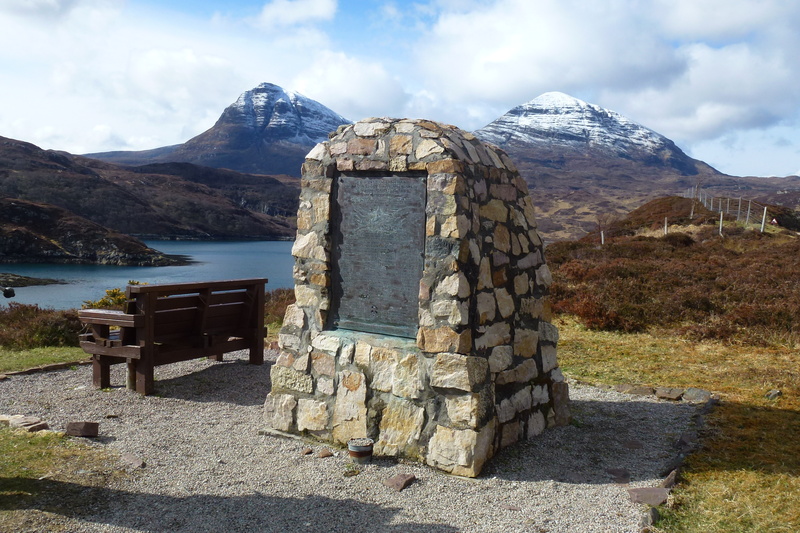 The stone at Kylestrome is engraved : “The security of these top secret operations was guarded by the local people who knew so much and talked so little.” Quite a tribute. A hydro electric plant is being built at the foot of the waterfalls which tumble down the Maldie Burn out of Loch an Leathiad Bhuain and a road is being bulldozed all the way over the top to Achfary. 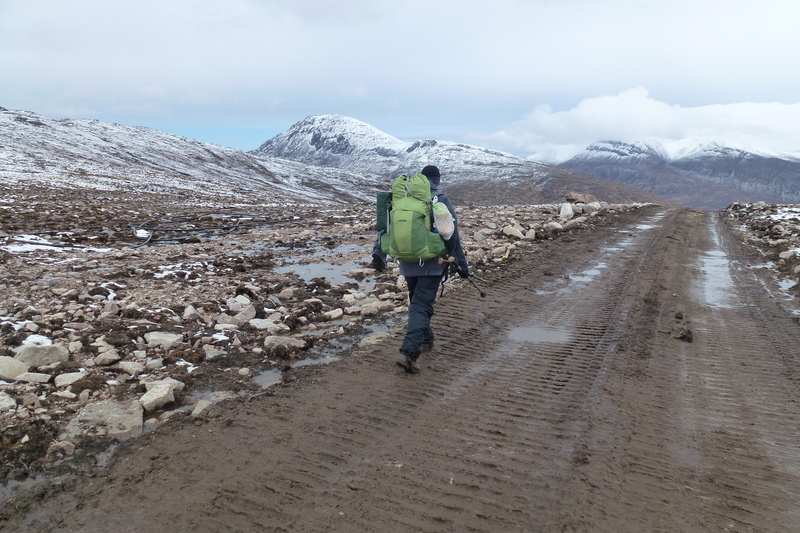 It made walking easy but was leaving a scar and felt incongruous in such a remote place. There were several men working on “landscaping” in the freezing conditions, attempting to soften the edges and minimise erosion but I wonder how successful that will be in such a climate. A couple of landrovers carrying equipment trundled past as we toiled up the hill to the snow line where we stopped to boil soup and noodles, only to discover a workmen’s hut just a couple of hundred yards further on. Bad planning! It was remote up here yet we often saw the ruins of ancient settlements and sheilings, even at the top of the Achfary Forest, opposite Ben Stack. And here my map, bought just two weeks ago, was already out of date because most of the trees have been felled recently and the new road ploughs steeply down the hill to the village which is the headquarters of Reay Forest estate. There’s a plaque on a wall here which has an obsequious feel to it in this land where so many poor people were cleared by absentee landowners to make way for sheep and I find it hard to believe all the Duke’s “servants” were so “grateful” to him – or that they would want to list his vast collection of properties “with the angling attached”! It’s interesting that his descendants still find it necessary to feature such feudalism so prominently. I walked on in the rain, pondering the words and their contrast with the stone I had admired earlier in the day to the men who had given their lives for their country and who hadn’t been recognised at all until just 20 years ago. 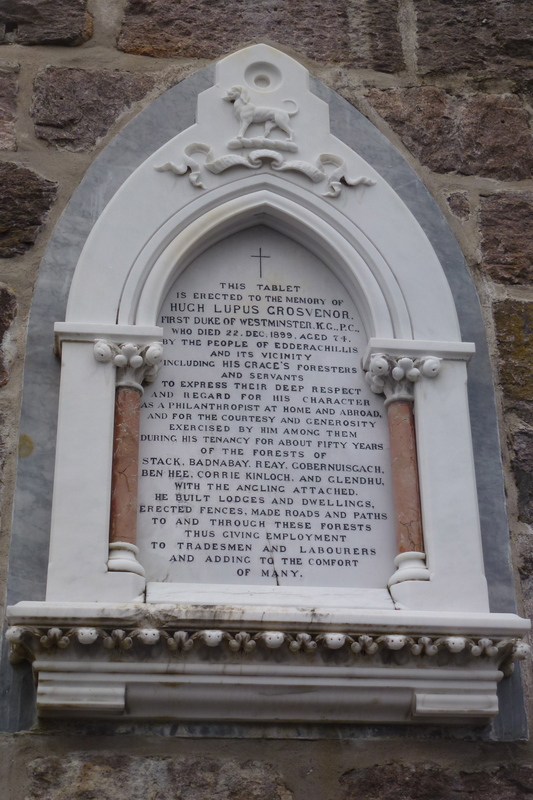 In the Duke’s case “He understood so little and boasted so much” would be a more appropriate monument.